(including some people he admires). a native detroiter, pete presnal, a.k.a., the socratic duck, began his professional career in 1978 on the graveyard shift of a 100,000 watt fm in a town of about 3,500 people (and maybe half a million deer) in northern michigan. for some reason, the glamour of babysitting an automation system loaded with tapes of the melachrino strings and jackie gleason records didn't really thrill him and so he preferred spending time in the production studio across the hall where he could create sixty-second "movies" and sixty-second "symphonies" entirely on his own. he soon realized that clients were paying real money to the radio station and only cared about pete's movies and symphonies to the extent that they sold cars and jewelry and gallons of milk. in other words, what good was a really good commercial if it didn't sell goods and services? he immersed himself in the arcana of selling, marketing, advertising and consumer behavior in order to write and produce commercials that worked for the client in a tangible, measurable way. pete is dedicated to the proposition that everything communicates. therefore, advertising, as an expression of the core selling idea that drives the company, is not simply an activity separate from the business or line item on the profit and loss statement. advertising is a material part of the company, and inseparable from it. pete believes great advertising is born of great companies and can send them soaring. he also believes just as surely that great advertising will destroy lousy companies — if for no other reason than the company may not be able to live up to the promise its ads make. in other words, unless you're running a great company, don't expect your advertising to save your behind. as the late, great management and marketing guru peter drucker (a personal hero of pete's) said, "the purpose of a business is to create a customer; [therefore] business has only two functions: innovation and marketing." pete created the socratic duck to help small businesses market (or at least advertise) their innovative ideas. the "socratic" part comes from presnal's love of the socratic method (or at least the idea of never being satisfied with surface answers in the pursuit of a client's sales and marketing aims). the "duck" part comes from a certain radio station general manager's habit of referring to her sales people as "sales ducks." and of course, except for this bio, pete doesn't generally refer to himself in the third person. you can download his, my, his, er, resume here. "the consumer is not a moron. she is your wife." gayle conroy is arguably my favorite female voice talent. she does have her very own website, which is a stitch in its own right, and i highly recommend going there if you're looking for female voice talent. i hesitate to tell you that, though, because i'd like to claim I have an exclusive contract with her. but alas, i don't. which means you can have her too, as long as you share. i don't want to have to send you to bed without supper. 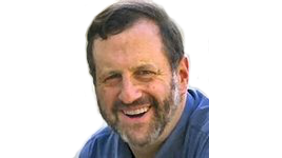 a great resource for radio stuff is well known programming and production guru dan o'day's website. 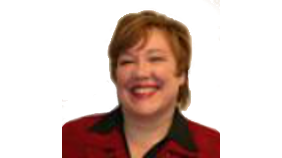 this los angeles, california-based radio authority offers all sorts of material, some free, some for a price, including teleseminars, self-teaching materials, books, and a free newsletter. subscribe to the newsletter. it's a million bucks worth of advice for free. someone else I've been a fan of for a long time is roy h. williams, a.k.a., the wizard of ads. his first book was the best seller, the wizard of ads, which turned into a series of books, all of which I've read a number of times. 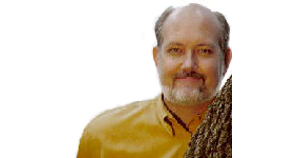 williams is the founder of the wizard academy, and offers a free subscription to his weekly e-newsletter, the monday morning memo. 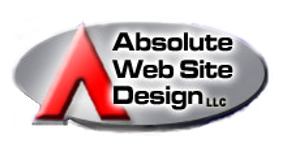 absolute website design is owned and run by a guy in little romeo, michigan (in the far northeastern suburbs of detroit) who happens to do great work. he does all of his web designs from scratch (no pre-built templates), which means that all of his clients have sites that don't look like any others one may happen across on the web. larry can also host your site. e-mail inquiries to larry foltran.